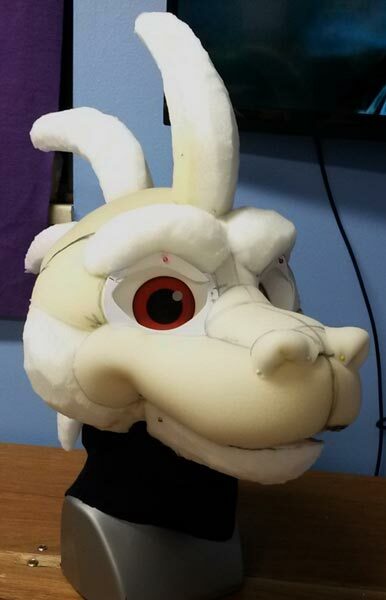 Every head is custom built using urethane foam. To capture each characters unique facial features the foam is hand carved. Once the pieces are assembled on a lightweight foam frame, the inside is lined with a soft fleece material for comfort. For heads with a movable jaw, a stainless steel wire frame is used to allow pivoting of the lower jaw, operated by your chin. 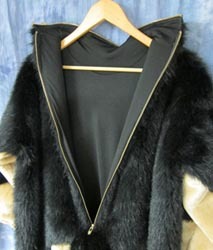 Only premium quality fur is used for the entire construction, all sewn and adhered to the head. This process creates a smooth finish look that is more durable due to the sewn seams. 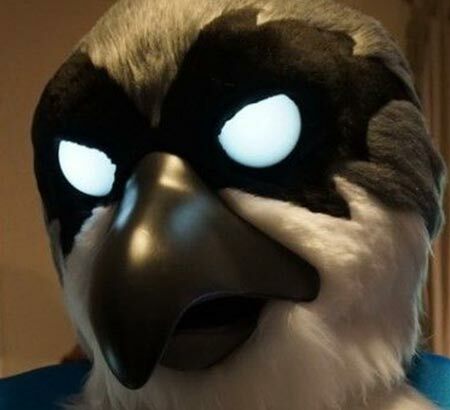 The eyes can either be built as flat toony eyes, 3D "follow me" eyes or as detailed realistic resin eyes (where you would look out of the tear duct for vision). 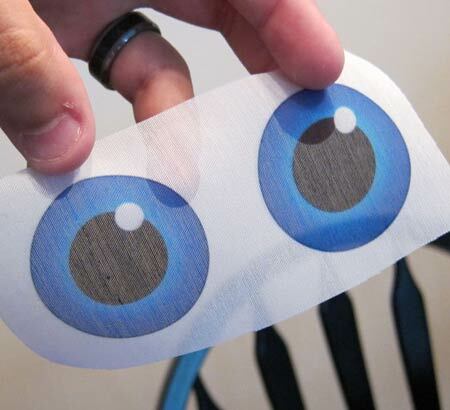 For the first two options, the design of the eyes is transferred to a semi-transparent material in the process of sublimation, allowing for the eyes to be very detailed and waterproof. 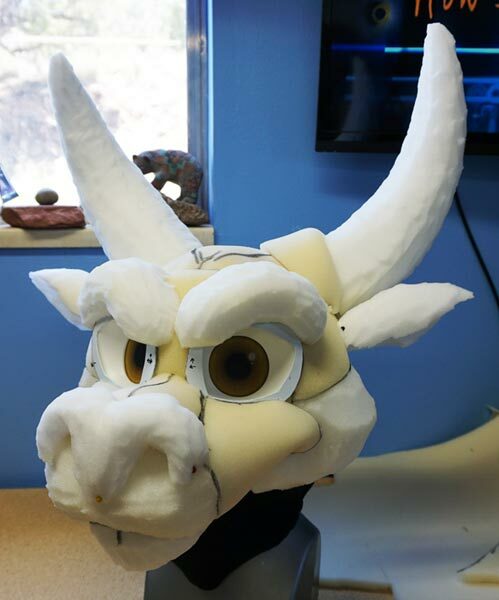 Features such as horns, beaks, noses, etc can be created out of various materials like resin, vinyl and silicone. Many of these options can be customized to be solid or hollow. 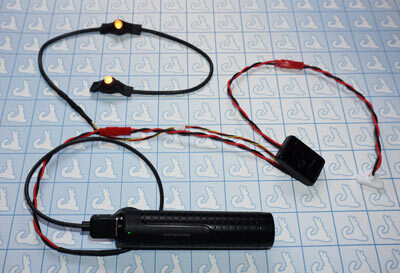 For all your electronic needs (cooling fan, LED eyes / rings, etc) these can be implemented with various power sources, allowing the customer to choose the one they are most comfortable with (USB lithium, NiMH, or traditional batteries like AA, 9v, etc). 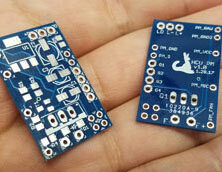 The electronic components are also made sweat-proof. 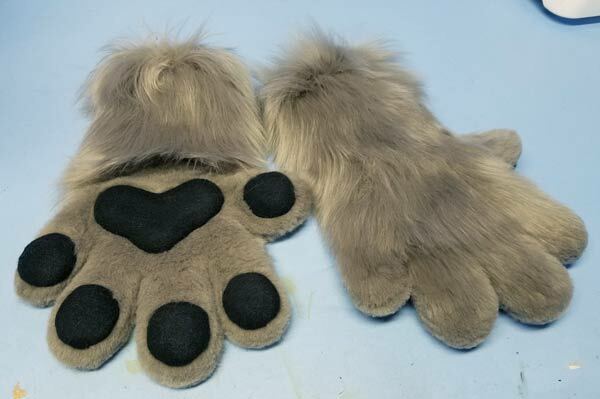 The hand paws are also made to fit with your dimensions. With the thumb separate from the rest of the paw it fits more natural like a glove. For more of a toony option the paws can be enlarged and stuffed with either foam or fill to achieve a plush and exaggerated appearance. 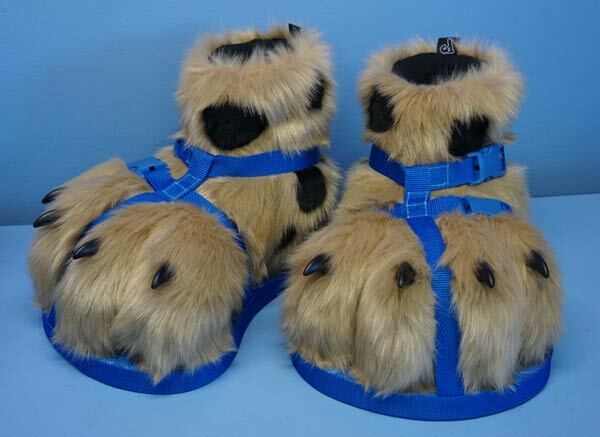 The feet paws are hand carved and created to fit like a comfortable slipper that you can wear for hours. 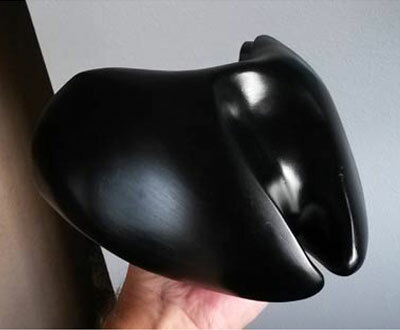 It starts off with urethane foam that’s carved and hollowed out to allow for the foot to rest inside (going by your shoe size). 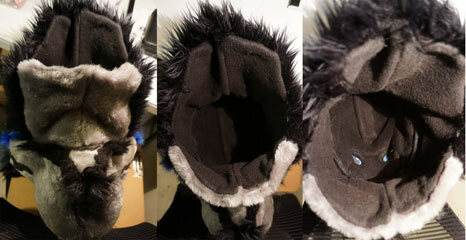 Then a soft spandex material liner is attached on the inside and continues up the cuff of the foot paw. 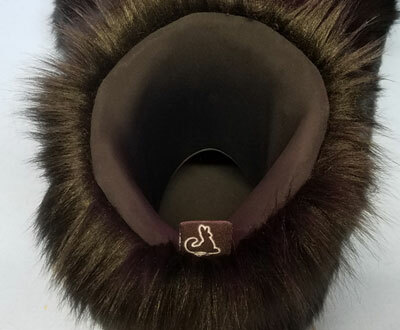 The fur is sewn and adhered to the foam, and depending if you choose parade or realistic a 1/2" thick rugged foam is applied to the bottom for parade feet. 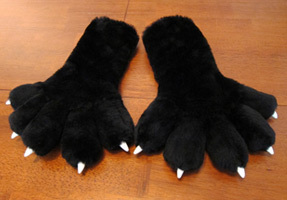 For realistic the bottoms are hand sculpted with a plush fur underside. 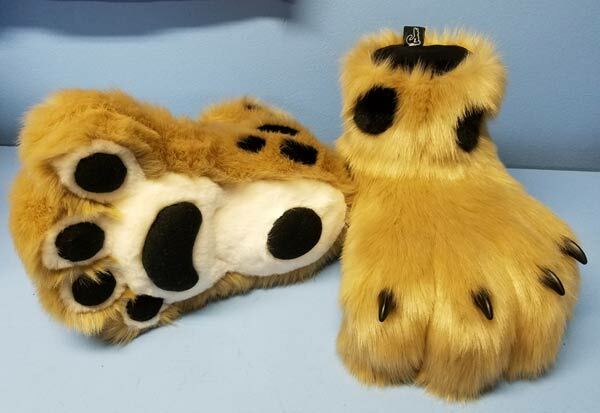 This option allows for paw pads to be applied which can be made from a variety of materials such as fleece, fur, faux leather, suede, etc. 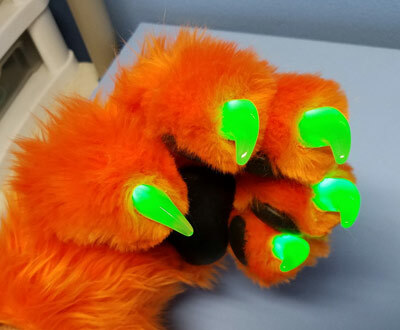 Hard resin or soft foam claws are available to complete and further customize your paws. For the resin option custom colors, fades, transparency and LEDs are offered. 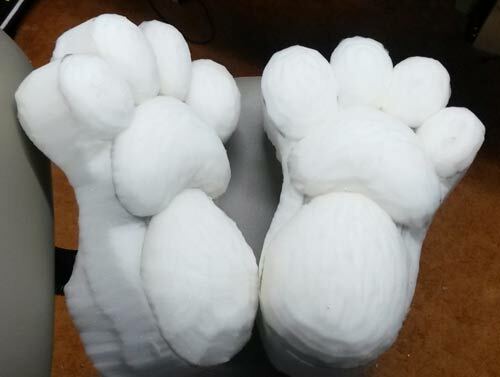 For characters who have hooves these can either be soft foam or hard resin. 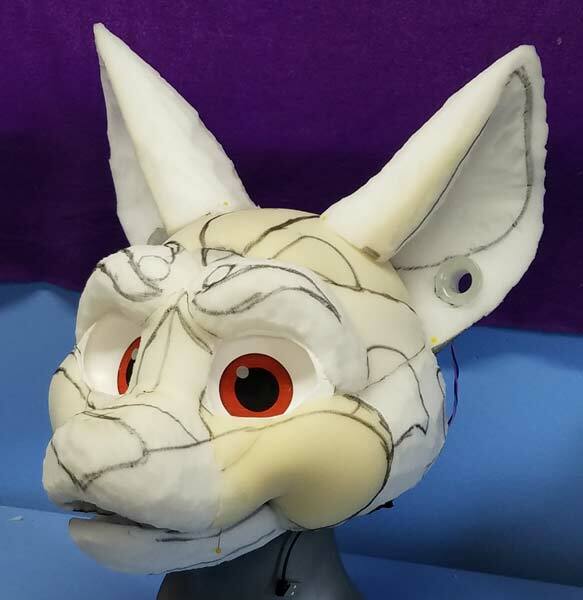 Each body suit is made with premium quality fur that’s machine sewn to measurements specific from my measuring chart (located here) or can be provided with a duct tape dummy (DTD) in combination. The entrance zipper can be placed either on the back or in the front, and depending on the design it could be possible to hide in with the patterning. The tail can also be attached to the body suit or made removable. Tight fitting suits can be made in combination with stretchy materials but are not recommended for your average suit. 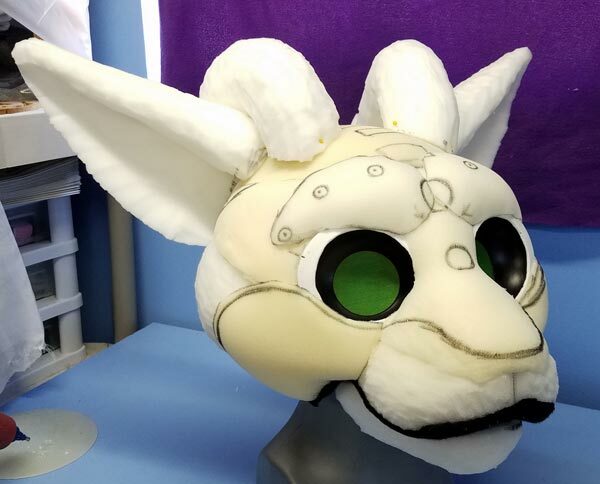 With Semi-tight the measurements will very between 1" to 3" so the suit will fit not tight but enough that there is no excess of fur overlapping. 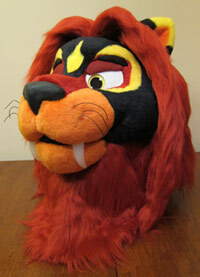 Mascot style is the universal option that can accommodate a variety of body types. Want to fit the character you have designed up? 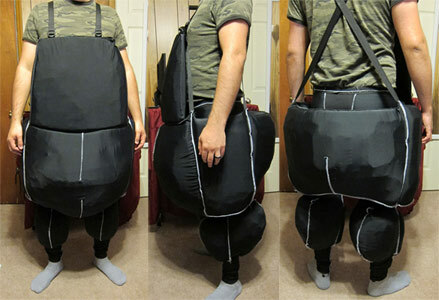 Body padding can also be designed with an internal muscle jump suit that consists of either foam or polyfil (depending on the application), and can have removable components to allow the ease of washing and caring. 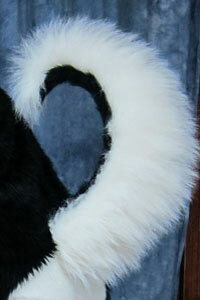 Tails can be made with a poly-fil stuffing or a foam base, depending on your design and needs. 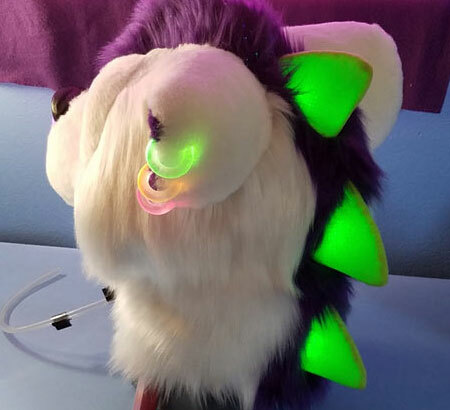 They can either be permanently attached to the body suit or made to be removable so you can wear as a partial configuration without the body suit. For removable tails you have two options, belt-loop or wide-belt. 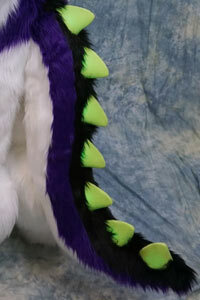 Belt-loop style tails are great for straight canine/feline and can easily be mounted to any belt. 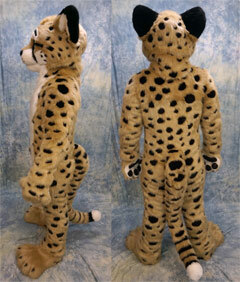 Easy for partial suiting but tail hangs down and sags. Wide Belt has an attached neoprene belt that velcros around for support (very similar to a kidney belt). Usually used for larger tails but can help with keeping them more stiff or vertical (like husky tails) and makes it easier to wag. Depending on the size, a wide belt attachment might be necessary for larger tails. Other options can include a zipper for easy maintenance, allowing you to re-adjust the inside and ease of washing. A hidden zipper pocket could also be made. I also offer custom electronics ranging from blushing cheeks, customized LED color changing enlarged piercing's to full body LED billboards. For any of your electronic needs please message me about what you would like to have created and I will see what can be done! 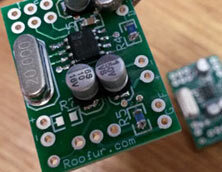 Every electrical component is soldered and sealed in resin.. All wiring is securely soldered and insulated to prevent shocking.. I also back all my products with a guarantee that they will work the minute you get them, but If anything arrives dead on arrival I will be happy to replace it. Please note that faults in items that were caused by abuse or not what they were intended for will not be covered under warranty. Sounds good so far? Then try out my Quote Builder today to get an Instant Estimate!